The site of the Alkmaarderhout, part of a larger municipal sports complex, had been used for sports since 1920. In its first decades, the most dominant sports were horse and motor races, but it also had a football pitch. The Alkmaarderhout itself got built in 1948. 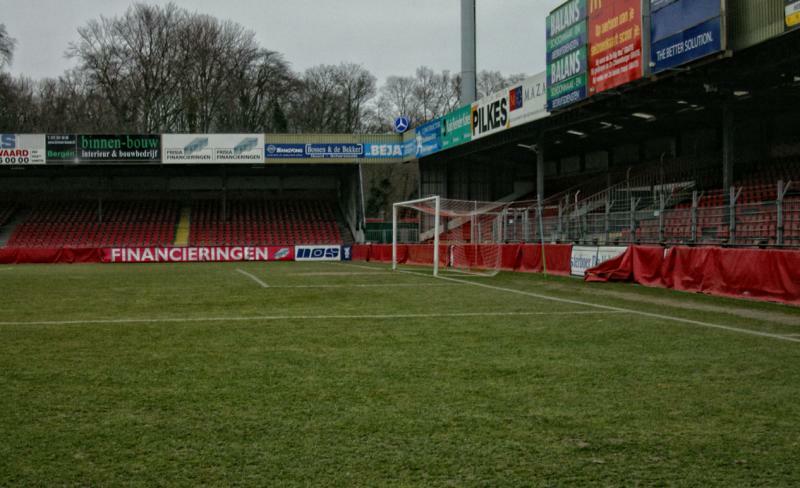 It was at first the home of Alkmaarsche Boys, then from 1954 of Alkmaar ’54, and from 1967 of merger club AZ Alkmaar. 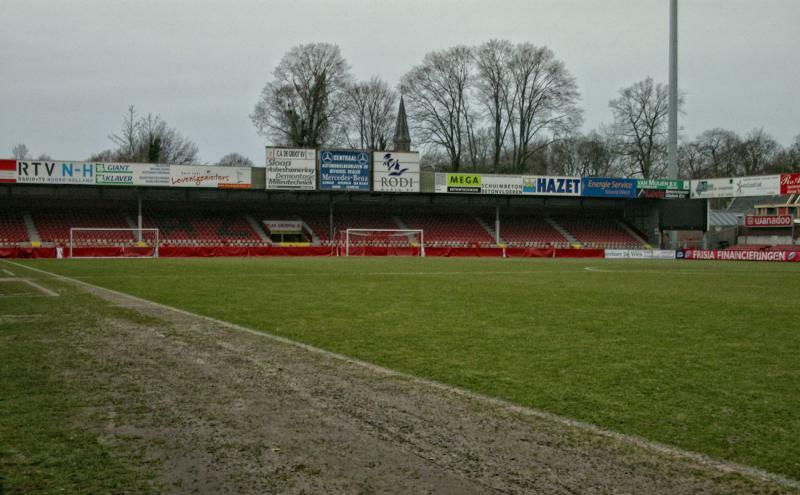 The Alkmaarderhout was the site where on the 14th of August 1954 the first match of the newly formed Dutch professional league was played. The match between Almaar ’54 and VVV ended in a 3-0 win for the hosts. The stadium got extensively redeveloped in the 1970s. New stands were built at one of the long sides and behind both goals, after which it could hold about 20,000 spectators, most standing. In later years capacity got reduced again due to safety measures and the conversion of standing areas into seats, resulting in a final capacity of 8,390 seats. By the 2000s the stadium had severely aged, lacked sufficient corporate facilities, and was regularly too small during AZ’s successful seasons. The club therefore decided to build a new stadium, the AFAS Stadion, which opened in 2006. 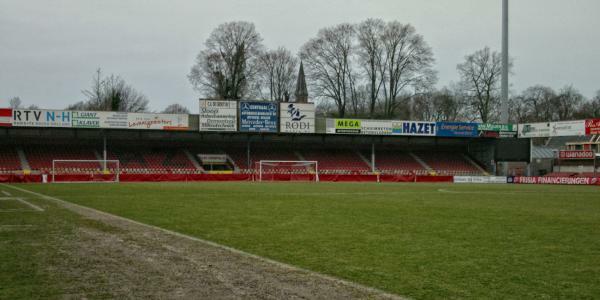 AZ played its last official match at the Alkmaarderhout on the 23rd of April against FC Groningen (2-1). A few weeks later, on the 12th of May, a last gala match was played as a goodbye match. The Alkmaarderhout got subsequently demolished.